Bill Cudmore is headed to Georgia, where he'll begin his new role as director of veterans’ initiatives and events at the nonprofit BlazeSports America, a provider of adaptive sports for veterans. 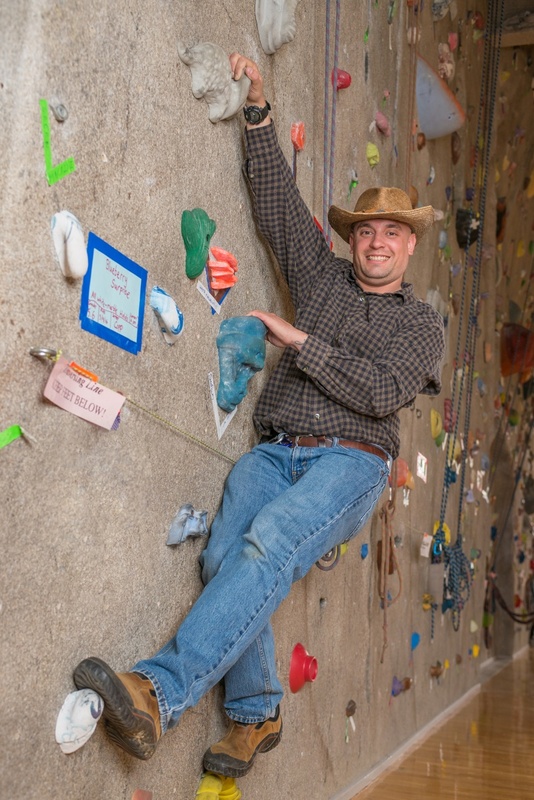 When UNH Today asked Bill Cudmore for a photo and interview for this series, he suggested meeting at UNH’s towering climbing wall inside New Hampshire Hall. Once we met the recent outdoor education/recreational therapy grad, it became clear why. “This is where I’ve spent more of my time as a student at UNH than anywhere else,” he says. Cudmore took every climbing course that UNH offers, and when he ran out of those, he worked as a teaching assistant in a handful of climbing courses and then volunteered with Northeast Passage, helping run rock climbing events, and Wildcat Friends, where he ran adaptive climbing programs. And yes, he can get to the top of the 45-foot composite rock. Easily. Cudmore, of Litchfield, New Hampshire, has served in the military for 17 years and is still active in the U.S. Army Reserves. 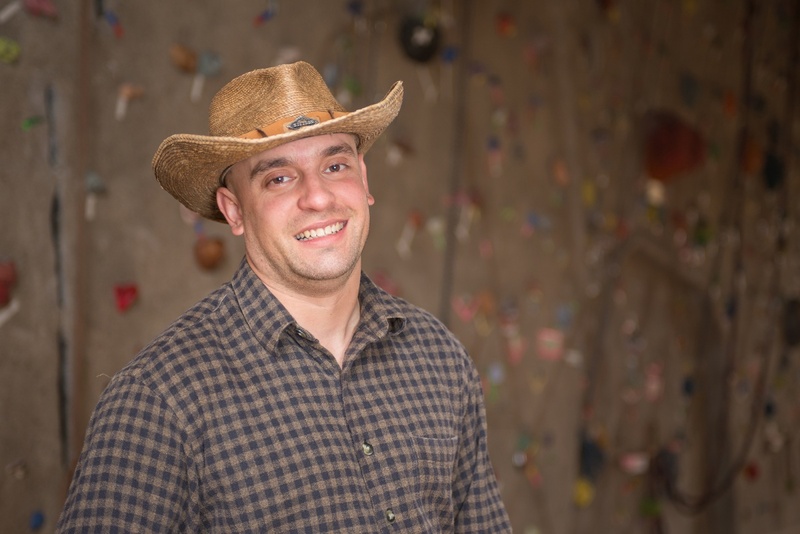 He’s as resourceful and innovative as you would expect a soldier to be — during a tour in Iraq, he used a shipping container to fashion a climbing wall — and he loves the wilderness. The night before his UNH Today interview, he slept under the stars in a hammock on the grounds of The Browne Center, another UNH haunt near and dear to his heart. Cudmore says when he discovered the outdoor education program in UNH’s College of Health and Human Services it was “a no brainer” for him to enroll. 1. Be personable. Talk to people. Go out and have fun. The networking opportunities that have arisen for me from doing this are why I landed this job. It really helps out when you’re trying to figure out where you are going and what you are doing. 2. Absolutely go see Lonn Sattler and Karen Gilbert and the rest of the crew at Military and Veterans Services, who work with veterans. They are so supportive and so helpful all the time. They’re the right people to talk to for vets, period, and they’re a very welcoming community. For any vets going through school, go see them. Last fall, he completed the practicum requirement for his degree working at Higher Ground, a Sun Valley, Idaho, organization that brings the outdoors and outdoor recreation to individuals who have disabilities, including vets. Higher Ground brings veterans on weeklong trips into the wilderness where they can experience skiing, whitewater rafting and horseback riding into the mountains to fly fish, for example. And that’s what Cudmore will do in his new role as director of veterans’ initiatives and events at the nonprofit BlazeSports America, a provider of adaptive sports for veterans based near Atlanta, Georgia. He’ll help develop the organization’s outdoor recreation program and enhance its climbing program. He says he looks forward to bringing positivity into the lives of his fellow service men and women who’ve experienced combat or other traumatic events.